In 2011, the talented and charming actor earned more than $53 million to reprise his iconic role as Capt. Jack Sparrow in Pirates of the Caribbean: On Stranger Tides. This number is incredibly high, not to mention more than what most people will see in their lifetime much less for one single movie. Previously the highest paycheck for a single movie had gone to Tom Hanks who received $50 million for his part in the Da Vinci Code. Clearly producers thought Depp was worth the steep price they paid for his quirky and unforgettable performance. Considering the success of Pirates 4 it was a cost that certainly paid off at the box office - which has already grossed over $1 billion worldwide. 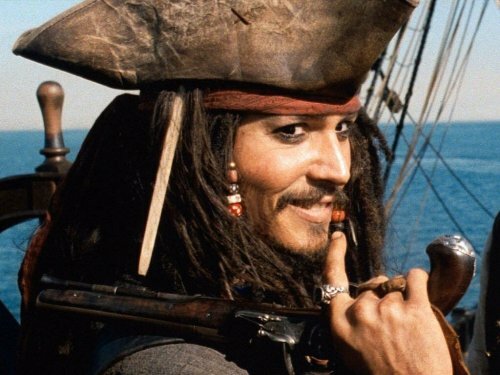 Let's be honest, no one can imagine Pirates of the Caribbean without the slightly mad, but endlessly entertaining Capt. Jack Sparrow. Depp's $53 million is, no doubt, extremely impressive, but another big player in film salaries is Tom Cruise. He may not be able to match Depp’s huge paycheck for a single movie, but according to Forbes 2012, he is the highest-paid actor. With all the movies he is in, Tom Cruise averages $75 million a year - not too shabby. Just below him is one of my favorite actors, Leonard DiCaprio, who pulls in an impressive $37 million a year. Depp comes in 6th place making $30 million a year. For the full list click here. We definitely haven't see the last of Capt. Jack Sparrow. Pirates 5 will most likely be released in 2014. I wonder how big his paycheck will be this time around.